We are showing a total of 40 discount Cateye Computers, with an average saving of 29% across the range. 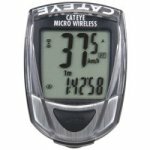 There are savings ranging from £6.75 for the Cateye Isc-11 Ant+ Speed/cadence Sensor Gl50 at Cyclestore, up to £99.99 off for the Cateye Inou Camera And GPS Logger Black available at Cycle Surgery for £100.0 and the same percentage saving for the Cateye Fit Computer White from Cycle Surgery at a sale price of £41.99. This level of discount is also available at the following cycle shops: Chain Reaction Cycles, Cycle Surgery, Cyclestore, Evans Cycles, Hargroves Cycles, Probikekit.com, Wiggle, for example giving a saving of £17.25 off the Cateye Velo Wireless Plus Cycling Computer at Wiggle for a sale price of £22.74. 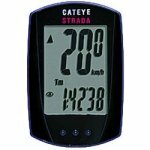 We've found discounts on 12 this model of cycle computer, with the price for the Cateye Strada Smart Cycling Computer With Speed And Cadence Sensor giving the largest reduction at 18% off, available from Cyclestore and saving £22.50. The saving of around £22.50 is available at more than one retailer. and the top percentage discount is 34% for the Cateye Strada Slimline Head Unit and Sensor at Chain Reaction Cycles. This level of discount is also available at the following cycle shops: Chain Reaction Cycles, for example also giving a saving of £12.5 off the Cateye Strada Cadence Cycle Computer at Wiggle for a sale price of £27.49. 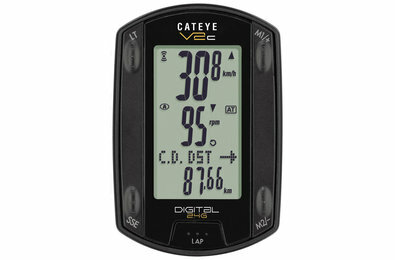 There are discounts available for 11 Cateye V2 / V3, with the largest reduction being 43% off the Cateye Velo Wireless Plus Cycling Computer . This is available from Wiggle at a price of £22.74, saving £17.25. The saving of around £17.25 is available at more than one retailer. and the top percentage discount is also for this model at Wiggle. This level of discount is also available at the following cycle shops: Wiggle, for example also giving a saving of £15.0 off the Cateye Velo Wireless Computer at Chain Reaction Cycles for a sale price of £19.99.